Anno 1800 combines beloved features from 20 years of Anno history. It delivers a rich city-building experience, including a story-based campaign, a highly customizable sandbox mode, and the classic Anno multiplayer experience. Anno 1800 will see the return of beloved features such as individual Al opponents, shippable trade goods, randomly generated maps, multi­session gameplay, items, and more. 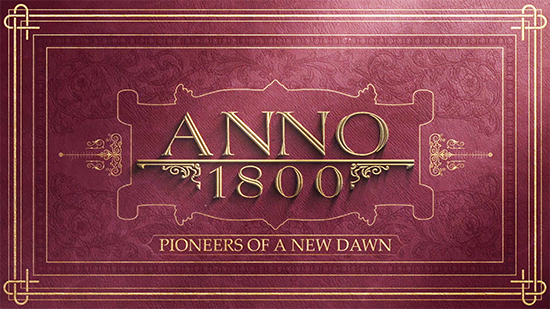 To bring this pivotal historical era to life, Anno 1800 introduces many all-new features to the franchise's rich tradition. Expeditions allow players to send crews of specialists across the globe as they seek fame and fortune, while the new workforce feature makes managing your factories more demanding and realistic than ever. Finally, players will settle South America as they lay claim to the black gold powering this new age of industry. Leading prosperous metropolises requires you to adapt your strategy to new situations. Fulfil the needs of your inhabitants by establishing numerous production chains, deal with other Al rulers sharing your world, and rise to prosperity by building a profitable network of trade routes.